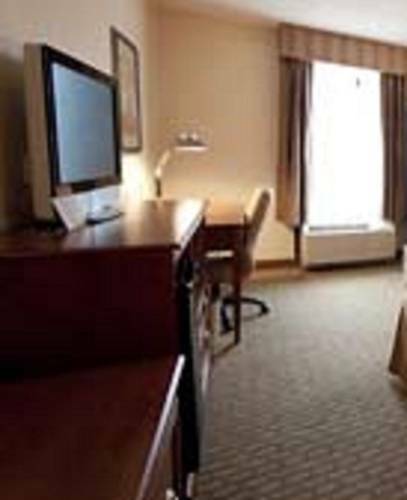 Stay at Baymont Inn and Suites Alexandria hotel with convenience to LA 28 and Interstate 49. Businesses nearby include Procter and Gamble, UTLX Manufacturing and Cleco. Area attractions are Alexandria Zoological Park, Links on the Bayou, Alexandria Art Museum and Kent House Plantation. Amenities include complimentary breakfast, meeting space, fitness center, business center, outdoor pool and complimentary wireless internet. Guest rooms have mini fridge, HDTV, coffee and tea maker. Pets are welcome. Alexandria International Airport and Alexandria Esler Regional Airport are within driving range.